Category: Core Boards. Tags: Board, CORE, Fusion. 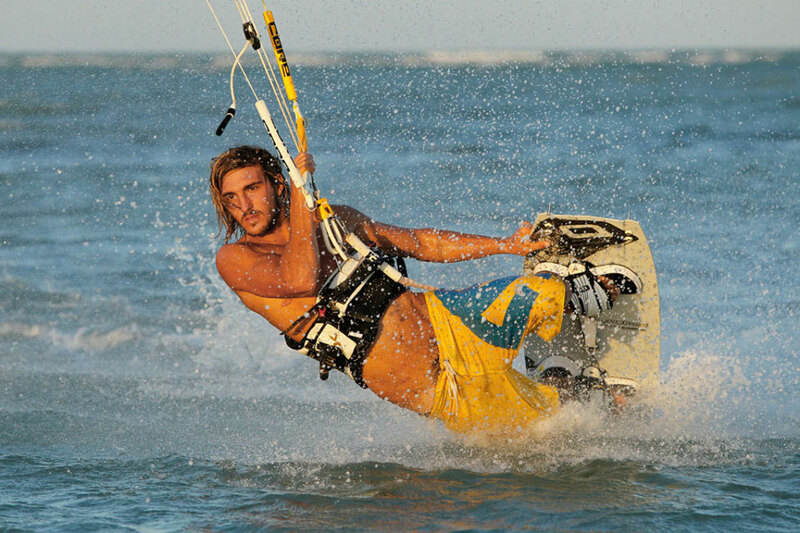 We have developed a real CROSSRIDE board that covers all aspects of kitesurfing without compromising on any of them. The Fusion is ideal for riders of all levels and will develop with you as you continue to improve. 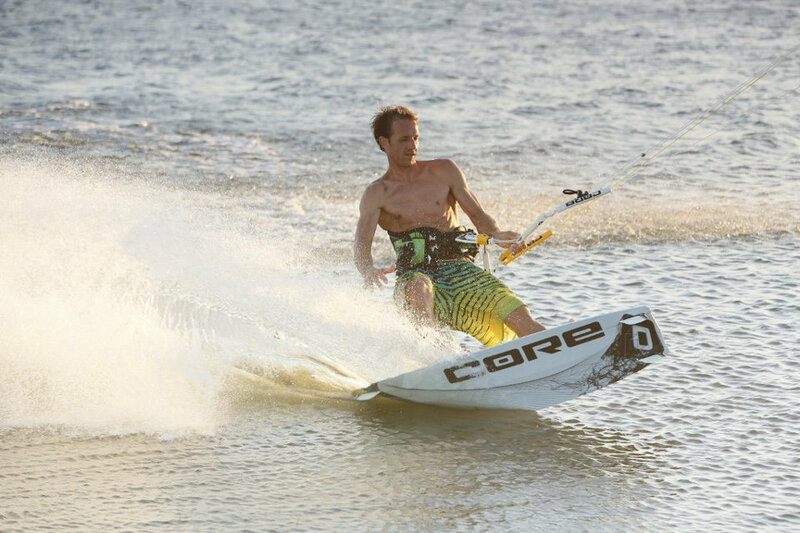 We have transferred our expertise from our custom CARVED boards to a high-tech CARTAN® high-performance carbon series production board. The Fusion was constructed in the most elaborate way for a series construction board – by using only the finest materials. 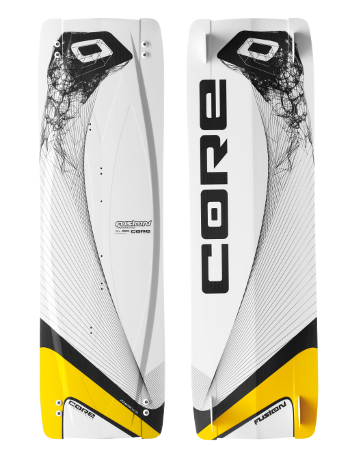 The board is made of 100% CARTAN® high-performance carbon; each layer is made of pure carbon fibre. This guarantees minimum weight and optimum flex properties. The complex bottom with double concave and ‘V’ provides more drive and direction, when needed, and is responsible for the unique riding experience. It goes through choppy water as if there was a cushion of air under the board. We call this Hydrodynamic Bottom Contour. The core wood was milled in a special Diamond 3D Shape CNC. This ensures the harmonious development of flex together with torsional rigidity. 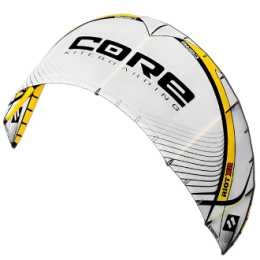 The new high-performance fins, provide the Fusion with the maximum amount of directional stability whilst maintaining high levels of agility. 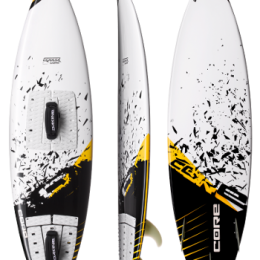 The Fusion development team worked hand in hand with the perfectionists from CARVED, decades of experience in the construction of surfing and kite boards therefore flowed into the Fusion series. 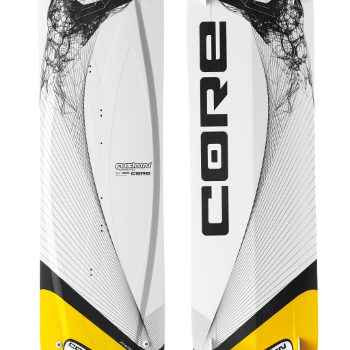 From the choice of bottom curve to the meticulously tuned flex design – each board size has been individually developed. This continuous transfer of knowledge was especially evident in the materials used. When we say full carbon, we mean full carbon. Each layer of the laminate structure is made of carbon fibre, the entire area – top and bottom. CARTAN® high-performance carbon was specifically and exclusively designed for CORE and CARVED. In contrast to conventional carbon fibres the CARTAN® carbon fibre weave holds the fibres in a performance maximizing 30 degree angle. The result is huge flex properties making take offs both simple and effective. The exclusive use of CARTAN® high-performance carbon allows us to significantly reduce the thickness of all Fusions. The resulting thin, slightly burred edge allows for precise jumps and relaxed carving. You can see and feel the 3D shape on the surface. Complex diamond-shaped cut-outs have been milled into the underlying wood core. This extra CORE effort is not without reason; on the one hand the complex surface structure reduces the weight, on the other hand, the resultant and intelligently arranged crosses increase the torsional rigidity of all Fusion boards. Together with the ultra-thin outside edges, the ‘Diamond 3D Shape’ provides the perfect combination of flex and stiffness – two technically disparate elements that only the world’s best shapers can combine successfully. 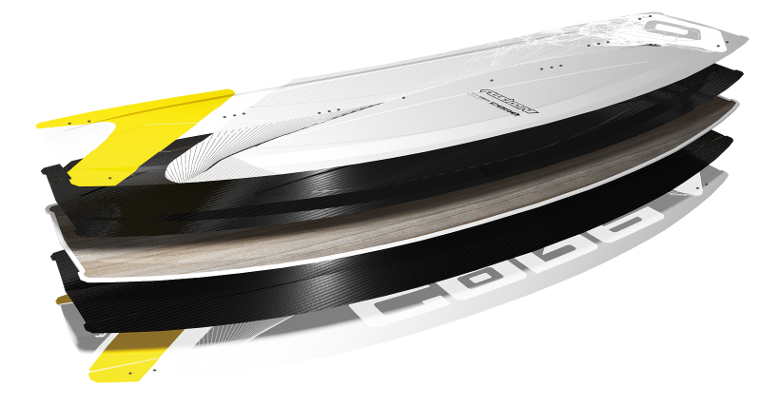 All Fusion boards have a hydro-dynamically shaped bottom contour. The most distinguishing feature is the central full length ‘V’ double concave that creates lift with laminar flow; the Fusion goes through choppy water as if there was a cushion of air under the board. The interaction of the concave and the ‘V’ allow greater board width, and thus early planning, without compromising on control. 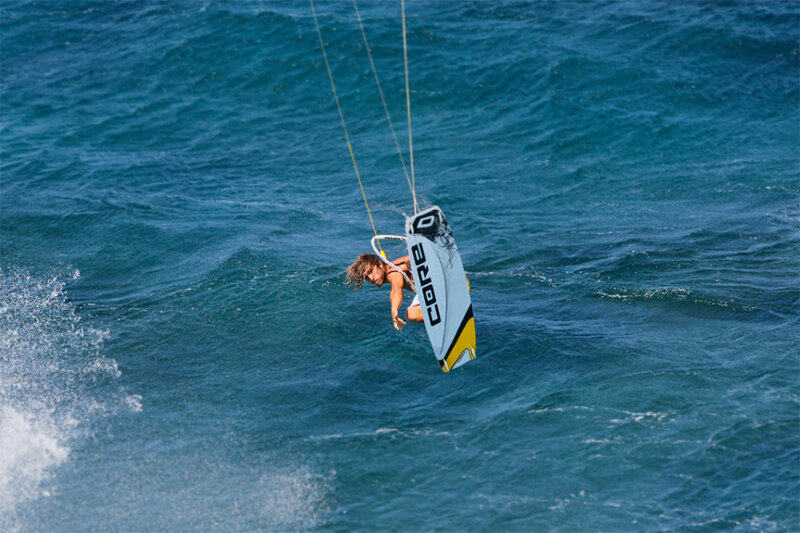 The entire board can be edged at a steeper angle, which enables effective upwind ability and provides the best edging for jumps. In addition it enables increased smoothness and agility, for example, whilst switching from heel to toe side edge. With the selection of the fin profile, CORE benefitted from the development process of the CARVED Razor fin. The result, after exhaustive testing, is a fin that provides maximum grip on edge. The combination of the base curve and the shape of the tip also facilitate a quick switch. Channels are again used on the edge ends. These partial indents allow the realisation of two different rocker lines. If the rider edges hard the steeper inside curve is engaged and control and grip are increased. 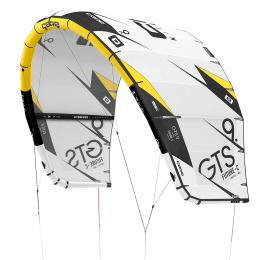 If the board is planning the flatter bottom curve is engaged which enhances the ability to glide through wind lulls. We have consciously not included any full length channels on the Fusion as the drift of the kite means that we never travel in an absolute line and the channels would simply cause unnecessary resistance.